Neurotransmitters are chemicals in your neurons (connection pathways in your body) which facilitate communication between each other, with ones organs, and your brain. While there are many neurotransmitters in your brain, the main ones involved in depression are dopamine, serotonin, GABA, epinephrine (adrenaline), and norepinephrine (another form of adrenaline). In practice most doctors hear someone is depressed and will prescribe an anti-depressant drug such as a selective serotonin reuptake inhibitor (SSRI). But have you ever wondered why you have this disorder in the first place? Instead of artificially changing how your brain fires, what if you could get to the root cause, correct that, and then feel like your normal happy self without taking potentially dangerous medication? Some of the newest research shows that depression is a side effect of inflammation. Simply saying inflammation is the cause is a good start but does not necessarily mean a lot. We need to know what is causing the inflammation. We previously talked about nightshades being a major cause of inflammation, but they are just one of many causes. We’re going to talk about some of the most common true causes of depression below and how you can achieve natural depression help. Depression: What are some of the most common causes? More and more research is showing the connection between ones gut (microbial) health and mental health. Studies have shown that altering gut bacteria can have a significant effect on mental health and the alleviation of anxiety and depression. In one study participants showed a decreased focus on negative information and an increased focus on positive information after taking a probiotic to help restore normal intestinal flora. With the link between dysbiosis and depression some are even starting to call it an infectious disease. Getting rid of ones leaky gut and dysbiosis will get rid of one of the major causes of inflammation in the body, removing a major stressor and cause of depression. The idea of food allergies causing depression is not a new idea. 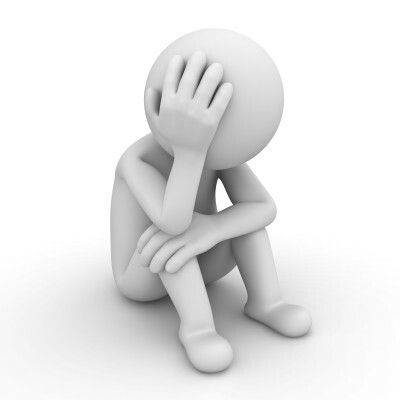 Researchers as far back as 1982 associated celiac disease (a gluten allergy) with depression. A reported 31% of children with celiac disease have depression, as compared only 7% without this condition. New research now shows that depression can also be caused by wheat in non-celiac patients. There are many testimonials one can read about how someone’s depression went away once they made dietary changes. This goes along with others going off anti-depressant medications after changing their diet and lifestyle. In addition to gluten any food one has a sensitivity to will cause inflammation. This inflammation is present all over the body, including the brain, and is being shown to have a great affect on ones mental health. The newest research also shows how those with autism have increased inflammation in the brain. Heavy metals have been shown to alter brain chemistry and depression is often listed as a side effect of toxicity. Copper, lead, and mercury are several heavy metals, of many, known to cause depression. High mercury levels have been associated with depression in a clinical setting. Also, women suffering from postpartum depression are shown to have higher levels of copper than others. One can be exposed to heavy metals not just by what he or she eats, but also by their environment. This can include the water we drink, food we eat, air we breathe, personal hygiene products we apply, and a multitude of other things. While many prescription drugs are known to cause depression as a side effect, there are other things we are constantly exposed to in our environment which have been linked to causing depression. Pesticide exposure in farmers has been linked to a near 6x increase in the rate of depression. While most of us won’t get the same exposure as a farmer, continual exposure from the food we eat and air we breathe can build toxic levels in ones body over time. Other chemicals such as common household cleaners, building materials, metal exposure, and tobacco can increase your environmental toxin load, making one more prone to depression. There are multiple studies showing patients with seasonal allergies, hay fever, hives, eczema, etc. all have an increased risk of depression. This can be due to the inflammation they cause which can lead to nutrient deficiencies as your body has to use many nutrients to manufacture substances to neutralize these pro-inflammatory chemicals. Some cases of depression in women are linked directly to hormonal imbalances. During the transition periods of puberty and menopause a woman’s hormones greatly fluctuate, which are key times of depression. Also pre-menopausal women have great hormonal fluctuations during their monthly cycle, which leads to depression in some women. If one has low progesterone levels it can lead to having too much estrogen, which is linked with copper retention. In addition to the hormonal link to depression, we just mentioned how excess copper is linked to post partum depression. Too little estrogen has also been linked to depression, so making sure your levels are not too high or too low is key to good mental stability. Sometimes due to long-term depletion, continual exposure to environmental toxins, stress in ones life, etc. certain amino acid levels can become depleted and need to be restored while your body is at work healing. The five amino acids mentioned before: epinephrine, norepinephrine, GABA, serotonin, and dopamine can be out of their normal ranges. This is why people are prescribed anti-depressant medication, to artificially balance these levels. These medications often have an extremely long list of side effects, including suicide. While some of these side effects are rare, there are safer approaches, which work extremely well, if not better, in many cases (If you are currently taking any prescription anti-depressant do NOT go off your medication without your prescribing doctor’s approval). Sometimes someone may not have enough dopamine in his or her brain due to a B6 deficiency preventing the transformation of Tyrosine into L-Dopa or L-Dopa into Dopamine. 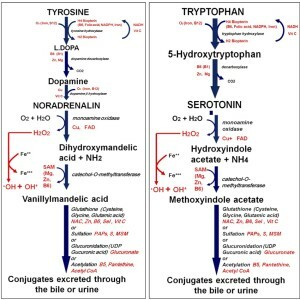 Other times because of stress, adrenal fatigue, or thyroid dysfunction one may not have enough of the amino acid L-Tyrosine, which is needed in the production of dopamine and epinephrine (adrenaline). Similarly, if a person has decreased levels of serotonin it could be because they don’t have the zinc needed to convert 5-HTP into Serotonin, or their tryptophan levels could be low. As we talked about in my previous article on Headaches, zinc could be low if someone is releasing too much histamine or is eating a lot of foods of which they are sensitive to. Vitamin B6 is also used up in times of stress, from EMF exposure, or also in the breakdown of histamine. There are many other similar co-factors that could play a role if you look at the chart on the right. Another amino acid, GABA, has been shown to be low in people with depression. GABA is an inhibitory neurotransmitter, which is key in most processes going on in the brain. 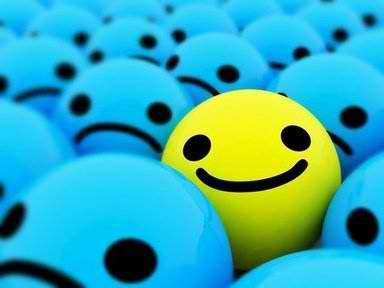 As previously mentioned, low levels of dopamine can be associated with those suffering from depression. In some people, long term-elevated levels of dopamine can also lead to depression. Taking GABA can help to lower these chronically elevated dopamine levels, which may then relieve depression. GABA can also work well in those who suffer from anxiety, insomnia, a “racing mind”, and other issues. How to beat depression for good! Your first step on beating depression is getting checked by a trained Professional Applied Kinesiologist for food sensitivities, heavy metal toxicity, environmental toxins, dysbiosis, and amino acid or other co-factor deficiencies. These simple steps can make a world of difference in helping one with depression. They also play a key role in increasing energy levels, weight loss, lowering anxiety, and mental clarity. Please email me at DrNoahLebowitz@gmail.com if you have any questions or if you or someone you know suffers from depression.